Rumors were quite strong that Samsung were focusing of launching tablets with much bigger screens than currently available in the market today. A 12.2 and a 13.3 inch tablet were on the list of Samsung’s 2014 Tablet line up. We are happy to inform we can lift the rumors for at least one of the devices. According to sources Samsung our launching a line of “Pro” tablets and the Galaxy Note Pro will be sporting a 12.2 inch display. 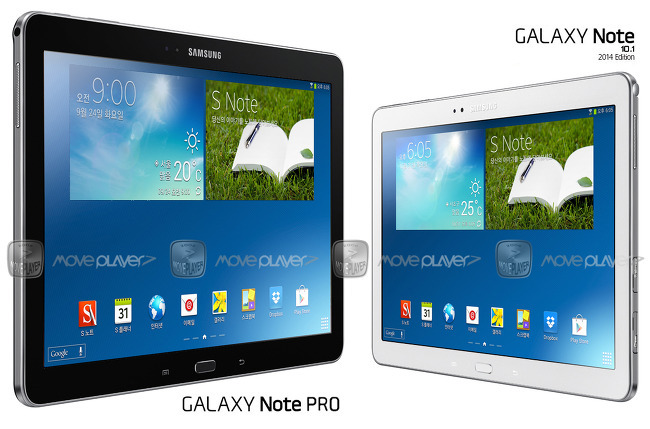 The strange thing though is the Galaxy Note Pro will be having similar specs to the Galaxy Note 10.1 2014 Edition. The difference so far was found to be of the OS and the battery. The Note Pro will come out of the box running Android 4.4 KitKat and the battery will be amped up to 9,500 mAh. Samsung our planning to launch the tablet at either MWC or CES 2014 with three more following soon after.